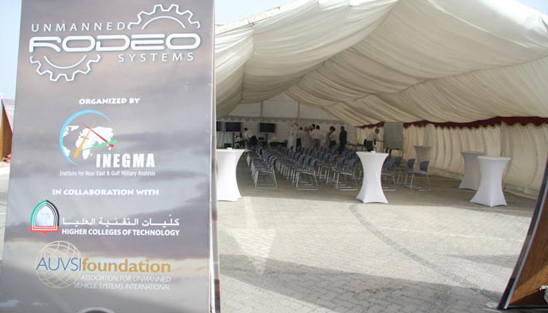 INEGMA has joined hands with the UAE’s largest higher education institution, the Higher Colleges of Technology (HCT), the Association for Unmanned Vehicle Systems International (AUVSI), leading international defense firm Northrop Grumman Corporation (NGC), and Abu Dhabi Autonomous Systems Investment (ADASI) to stage this groundbreaking science and technology outreach event. 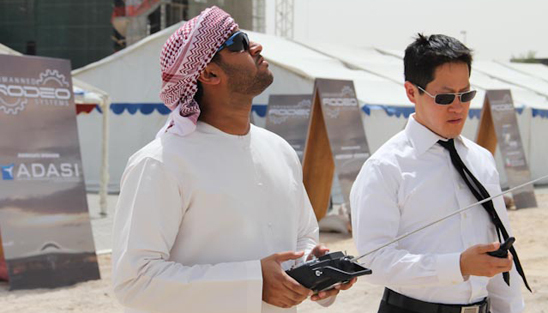 The inaugural USR features a competition for HCT students to design, build, test and pilot remote controlled unmanned aircraft. 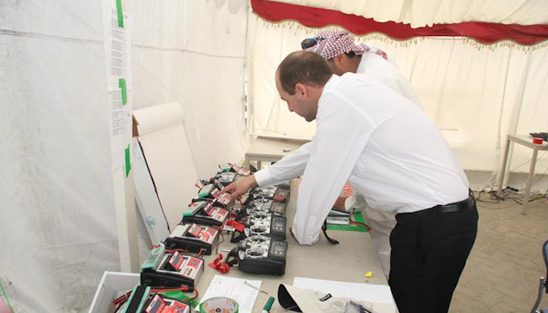 The 11 competing teams from 4 HCT colleges are judged on their presentation, and on the speed, performance and endurance of their respective unmanned aircrafts. 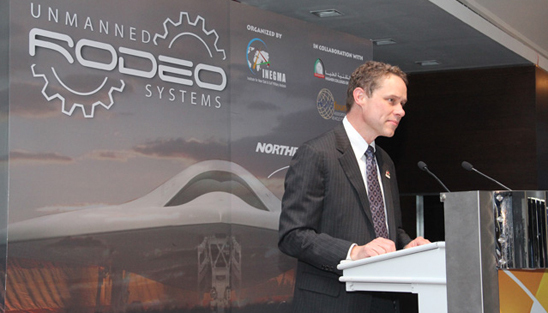 The first and second place teams will receive an all expenses paid trip to Washington, D.C. and Italy respectively. 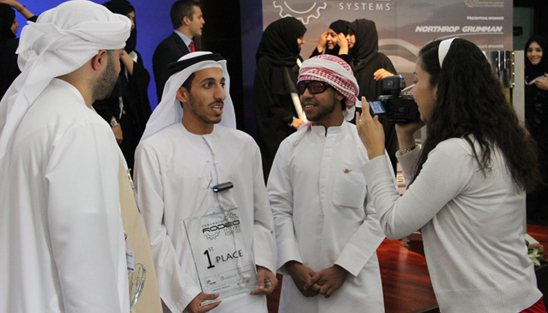 The eleven competing teams came from four colleges: Al Ain Men’s Campus: Team Seven Stars and Team Spirit of Al Ain; Abu Dhabi Men’s College: Team Take Care, Team Legend, Team Falcon and Team Tornado; Abu Dhabi Women’s College: Team SIGMA-6 and Team AD-ians; Dubai Men’s College: Team Snow Birds, Team Special Commands and Team Robotics. 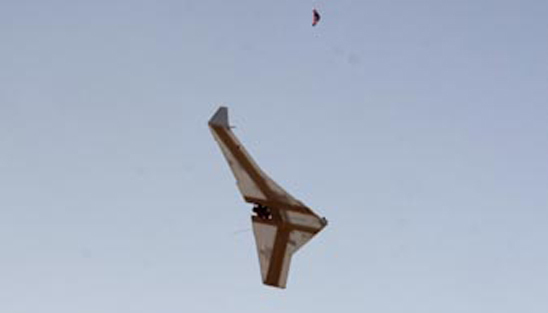 The first day, May 4, featured flying sessions from 9:00 to 16:00. 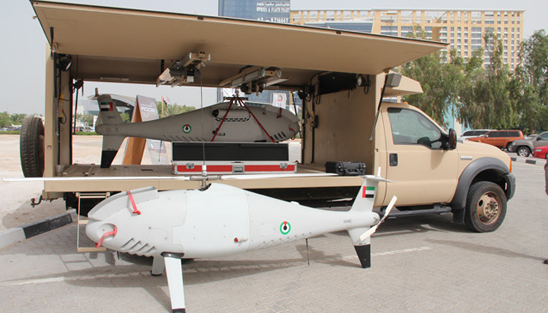 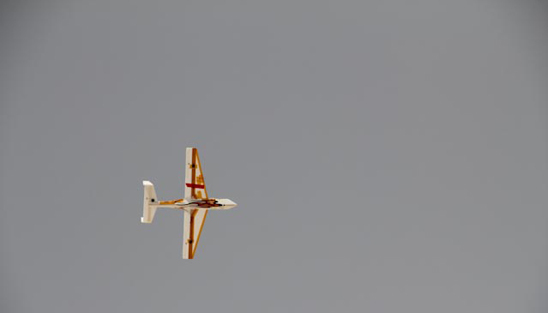 After an introduction and instructions for Unmanned Systems Rodeo Challenge Flight Competition Operations to kick-start the event, team sorties took place in the Parking and Open Lot Area between 0830-1200 and resumed after the lunch break until 17:00. 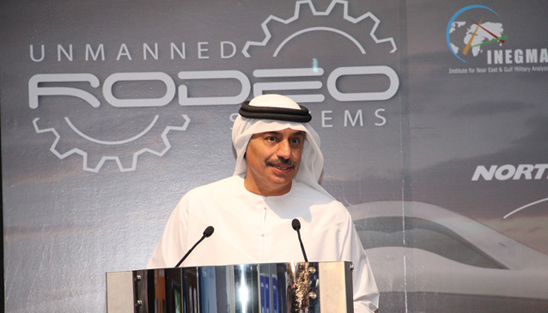 The awards ceremony will take place tomorrow at 11:00 with the presence of H.E. 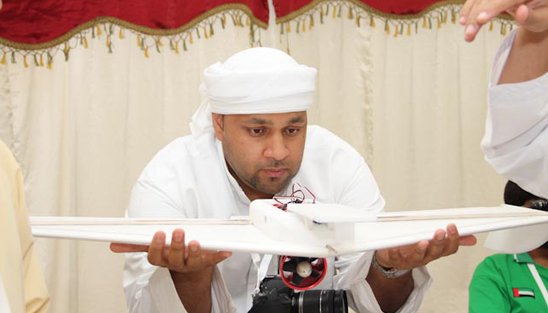 Sheikh Nahayan Mabarak Al Nahayan who will deliver the prizes and awards to the winning teams. 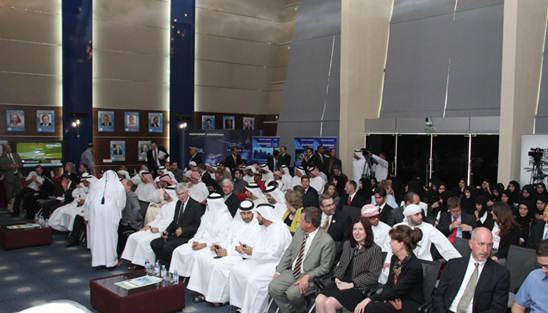 USR, the first event of its type in the region has been months in the making. 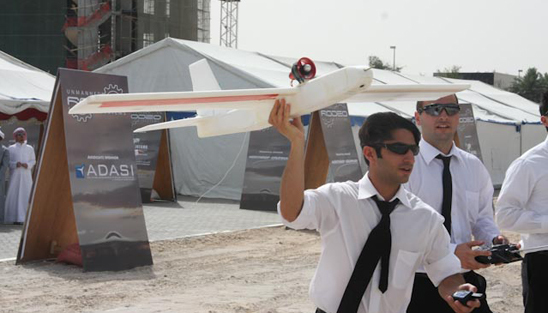 Participating students have been applying their mathematical and scientific knowledge to a real world engineering project for the past three months. 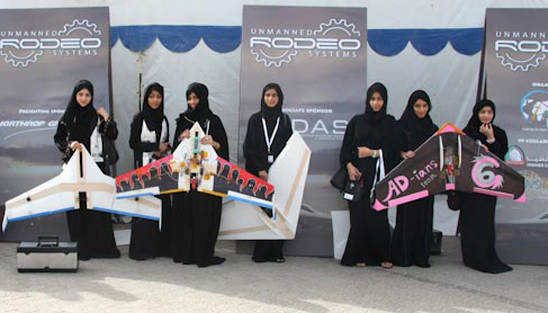 Immersed in the engineering process of designing, building and testing their unmanned aircrafts, their efforts have been assisted by engineers from HCT, NGC & ADASI and particularly NGC engineers who have travelled from the United States to give courses on Airplane Parts & Basic Aerodynamics. 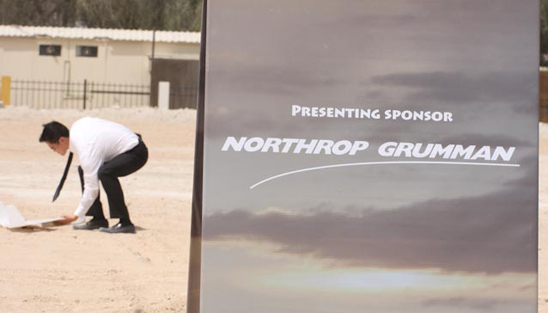 Between May 1-2, a team of six judges (Yaqoob Al Belooshi - ADASI Representative, Abdulla Mata - ADASI Representative, Associate Dean Dr. Nickolas Harkiolakis – HCT Representative, Doug Fronius - Northrop Grumman Senior Engineer, Rosemary Shearer - Northrop Grumman Senior Engineer, and Darryl Davidson - AUVSI Foundation Representative) visited various campuses where competing teams delivered presentations of their UAVs and their efforts to create their respective machines. 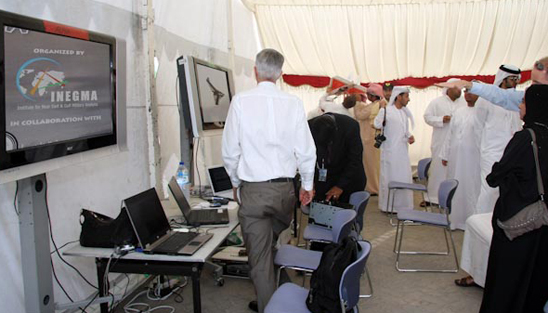 The presentations are designed to offer judges an insight into the technical aspects of the UAVs and the way students have applied their scientific knowledge in their efforts. 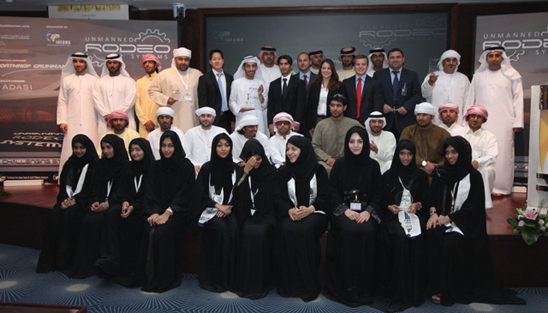 One of the prizes will be for the best presentation. 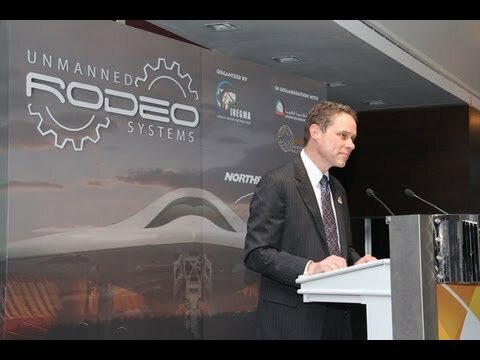 Thursday the 5th of May witnessed the awards ceremony for the prizewinners of yesterday’s inaugural Unmanned Systems Rodeo (USR). 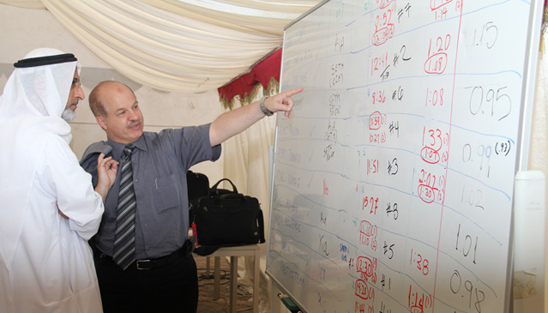 Major General (Ret.) 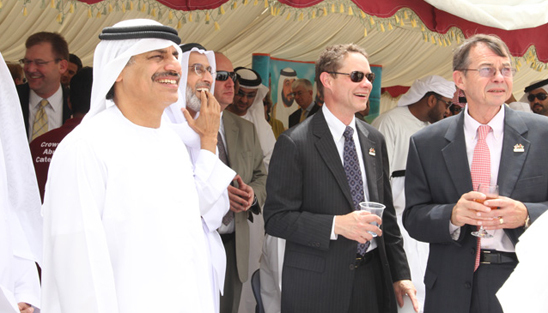 Khaled Abdullah Al Bu Ainnain, Former Commander, UAE Air Force and Air Defense, and President, INEGMA, Wes Bush, CEO, Northrop Grumman (Supporting Sponsor of the USR), Major General (Ret.) 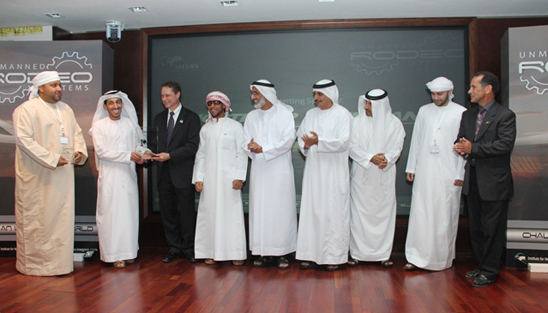 John Brooks, President, Northrop Grumman International, Dr. Tayeb Kamali, Vice Chancellor, Higher Colleges of Technology (HCT), Ali Al Yafei, CEO, Abu Dhabi Autonomous Systems Investment (ADASI) , and Darryl Davidson, Association for Unmanned Vehicle Systems International (AUVSI) delivered the prizes and awards to the winning teams. 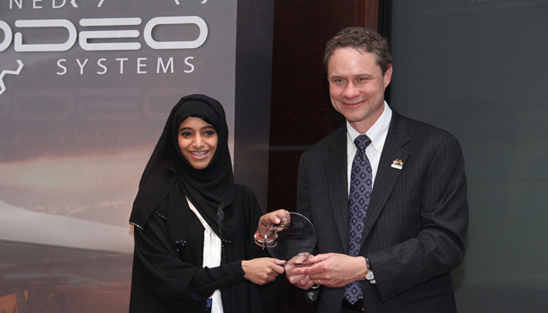 The 1st placed team won an all expenses paid trip to the United States to participate in the AUVSI convention, and the runners up could look forward to an all expenses paid trip to Sweden to visit to manufacturing facilities of SAAB. 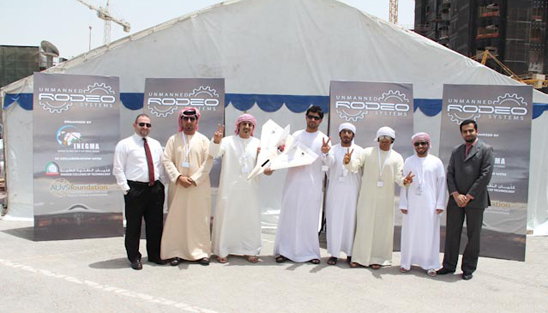 For 3rd Place – Seven Stars - Al-Ain Men’s College: Ahmed Mohammed Murad Hasan Murad Albaloushi, Ahmed Mubarak Mansour Mubarak Al Bu Saeed, Eisa Awad Mohammed Huwaiden Al Shamisi, Khalifa Abdulla Abdulkarim Al Rayes, Marwan Mohammed Saif Mohammed Al Nuaimi, Mohamed Saleh Ibrahim Ahmed Al Ali, Mohammed Matar Omair Mohammed Al Shamisi. 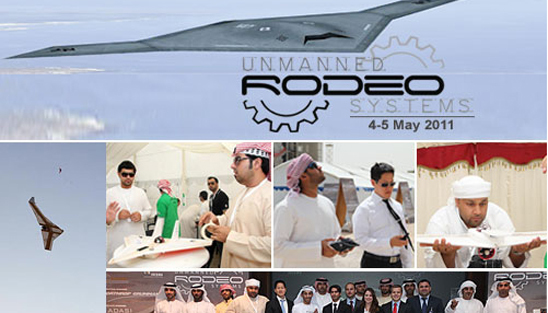 For Best Presentation – SIGMA-6 - Abu Dhabi Women’s College For Fastest UAV – Seven Stars - Al-Ain Men’s College For Best Endurance – Robotics Team - Dubai Men’s College USR is going to be an annual event organized by INEGMA.